Are you searching for the best puppy shampoo and conditioner, but you’re too busy right now to read our entire buying guide? According to our researchers, the number one product any puppy owner should use is the Paws & Pals Natural Dog. 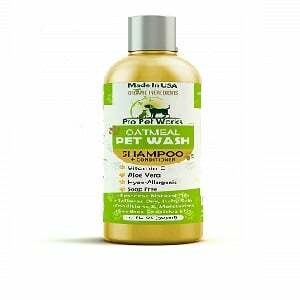 Made with natural ingredients, its formula is designed to ensure proper coat and skin care. The essential oils used were chosen based on the benefits they supply. Because this is a tearless shampoo, your puppy won’t grow to hate bath time. In case you cannot find this puppy shampoo anymore, we also suggest the Pro Pet Works Natural Oatmeal, as it is almost just as good. This shampoo comes with two ingredients that make it a great alternative for your puppy’s coat. One of them is Aloe Vera, which has soothing properties and can calm itchy, irritated and sensitive skin, and the other is oatmeal, which conditions the fur and makes it easy to brush and untangle. Also, this option has a tear-free formula, so even if some of the suds get into your puppy’s eyes, they won’t irritate them. With some dogs, this product might not help with the itching. A highly effective and convenient shampoo that has oatmeal and Aloe Vera. If your puppy has more or less sensitive skin, this shampoo is definitely worth a try. Crafted from natural ingredients, this option has oatmeal and doesn’t come with any chemical ingredients, so it can definitely do a good job when it comes to providing some relief from all the itching. It doesn’t even contain soap, so it will not irritate your pooch’s eyes if it does get there by accident while you’re bathing him or her. It works better on coarse hair -- not the best for cats. This shampoo is safe, it smells nice, and it doesn’t contain harsh chemicals. Honeydew’s option is an excellent formula if you want to make sure that your puppy’s skin is cleaned effectively and moisturized, at the same time. 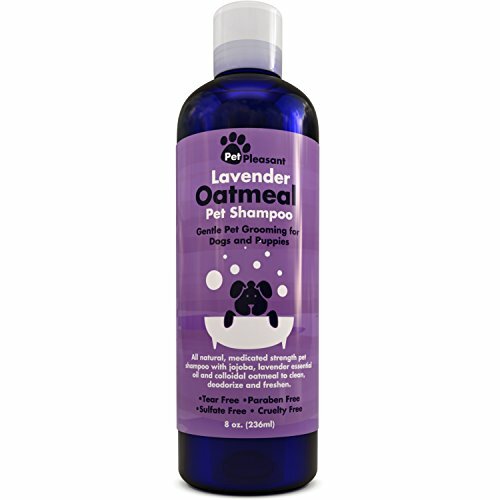 It has jojoba oil, lavender, as well as colloidal oatmeal, so it is perfectly safe to use on puppies whose skin is dry. It also smells great, especially based on the opinions expressed by the dog parents that have tried it in the past. The bottle is too small for large dog breed parents. Honeydew’s shampoo is a great choice for toy and small breeds. If you go shopping for shampoo for your puppy, you will notice that there are dozens of products for sale. How can you tell which is the right one? We compared the critically acclaimed shampoos for puppies and made a list with the consumers’ favorites, which you can examine below. 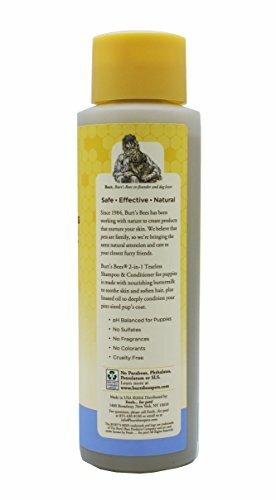 You can count on the Paws & Pals Natural Dog to be a good puppy shampoo and conditioner because it offers all the benefits you would expect from a product made with natural ingredients. For instance, the formula includes Aloe Vera, which has a soothing effect on irritated skin. The oatmeal in this formula is also a key ingredient, as it cleans the puppy’s soft fur without making it dry and difficult to brush. Usually, shampoos based on this ingredient can calm bites caused by fleas, and, since you cannot use a chemical anti-flea shampoo to wash your puppy, this could be the best next thing. There is another benefit to using this formula, besides offering your puppy the needed care for his or her hygiene. Because it uses organic ingredients, this shampoo is made in compliance with standards for protecting the environments. The tear-free formula will make your puppy look forward to bath time, and you will not find it a chore, either. It is not easy to find puppy shampoo for fleas, as the active chemicals contained in such formulas can be harmful to a young dog. An alternative is the Pro Pet Works Natural Oatmeal that doesn’t use harsh chemicals, but it offers soothing for flea bites, as well as for other allergies. If your puppy has sensitive skin, this formula is just what he or she needs. It must also be mentioned that this shampoo doesn’t contain alcohol, sulfates, artificial colors, or synthetic fragrances. If you notice your puppy getting itchy, use this shampoo and relieve him or her of the discomfort. As it doesn’t contain soap, even if the shampoo gets in the puppy’s eyes, it will not irritate. For new puppy owners, this is a great plus, as they will not have to struggle with a distressed puppy when bath time comes. The puppy’s coat will also be easy to brush, and your pet will smell great. 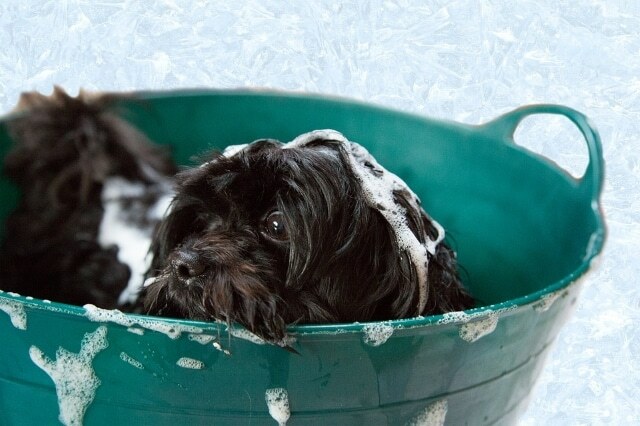 Puppies can be susceptible when it comes to washing them, and not just any shampoo formula will do. Skin irritations are common, and, as a puppy owner, you probably know too well how difficult it can be to deal with a pet that suffers from itchiness and other skin problems. Not even offering him or her a few puppy chew treats will be able to distract the puppy from that kind of discomfort. This formula will help. 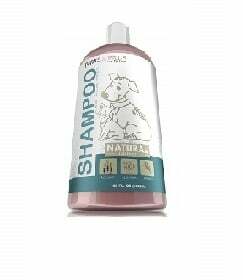 Made with colloidal oatmeal, this shampoo is created with the needs of puppies that have sensitive skin in mind. Another natural ingredient in this formula is jojoba, and this makes it easy to treat the puppy’s dry skin. Another thing that makes this shampoo so great is the lavender used. Besides a soothing effect, this ingredient will make your puppy’s fur smell great. Not many products out there can offer the odor control this formula provides. It is also a tearless formula for happy bath times. As a pet owner, you know very well the importance of proper care. 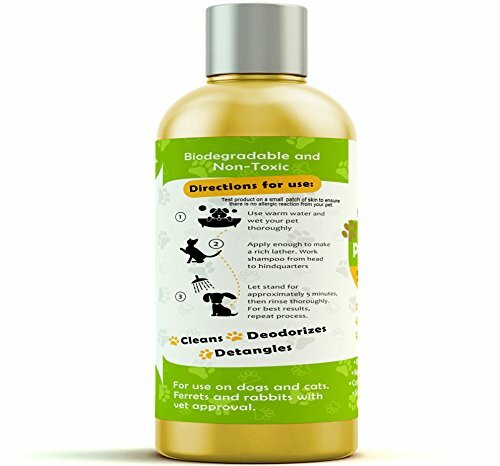 You get food for puppies that contains natural ingredients, and you try to find a product that can clean your pet without causing any discomfort. The Oster Oatmeal Naturals is one such product and one of the most popular at the moment. It can be used for washing puppies that are at least 8 weeks old. 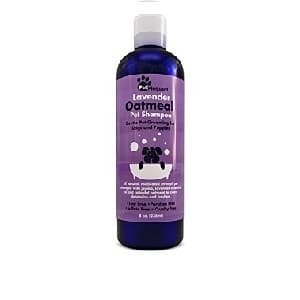 Based on oatmeal, it will do a great job of cleaning your pet’s fur, and, at the same time, it will calm irritations. Other key ingredients include wheat protein, rosemary extract, and humectants. The baby powder fragrance will help your pet’s fur smell fresh days after a bath. Any formula for puppies needs to be safe for use; again, this product goes the extra mile, and it is entirely free of parabens, dyes, and alcohol. The latter could cause excessive dryness, and it is a good thing that this formula doesn’t have it on the list of ingredients. Your puppy’s fur will be soft, and his or her skin will be free of irritations if you’re using this shampoo and conditioner. Take a look at the list of ingredients, and you will notice the presence of natural compounds, like buttermilk, and linseed oil. The first is responsible for the soothing effect, while the latter fills in the role of a natural conditioner. When you choose a shampoo formula for puppies, you need to make sure that it has the right pH balance. This shampoo offers such a benefit, as well. You should never use shampoos and other products intended for human use, as a dog’s skin and fur are different from human skin and hair. Free of any dangerous chemicals, such as sulfates, fragrances, and artificial colorings, it is a safe formula that is recommended by veterinarians. You can use it for puppies, as well as mature dogs, and use it regularly without fear that there will be skin irritations to worry about. Bathing your puppy shouldn’t be a chore. You can turn bath time into a fun time, while still caring for your pet’s wellbeing and offering the protection needed against irritations and other problems that can result from a dirty coat. We looked at the numerous reviews of puppy shampoos and conditioners provided by users and experts to understand what makes an excellent product. Here are our findings. Did you know that a dog’s skin can have only half the thickness of our human skin? That means that it is also more sensitive. It is true that it is covered with a thick coat, as it’s the case with many breeds, but even the dog’s fur shouldn’t be treated in the same way as human hair. In other words, you shouldn’t use human shampoo and conditioner to wash a puppy or a dog. Also, you need to make sure that the product you intend to buy is free of dangerous and harsh chemicals. For instance, some of the dog flea shampoos have pesticides in their composition to kill the small critters nestling in the dog’s fur. But these are a complete no-no for puppies, as they are more sensitive and can become ill if they’re washed with such chemical-loaded formulas. You should also stay away from products that abound in sulfates, parabens, artificial fragrances, and artificial colorings. If they’re not adequately pH-balanced, they can also cause skin irritations. Search for formulas that are recommended by veterinarians, as they are the safest you can find. You should choose the shampoo and conditioner for your puppy based on what ingredients it uses and what benefits are provided. For instance, dealing with sensitive skin and itchiness imposes that you should pick a product made with oatmeal and other ingredients that have a soothing effect like chamomile and Aloe Vera. If you need to deal with a tick problem, there are tick shampoos for dogs that might be safe for older puppies, but always check the instructions on the back, and, when in doubt, don’t forget to ask your veterinarian for additional information. For odor control, a good idea would be to pick a formula with lavender. This nicely smelling plant will be able to eliminate the typical dog smell from your puppy’s coat. Be prepared to spend a little for a more expensive product, as a cheap puppy shampoo and conditioner might not present all the benefits you expect. Bath time should not cause a little drama for you and your puppy. 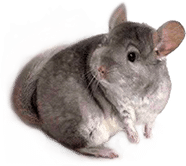 The pet’s eyes, nose, and ears should be protected from the lather, to avoid discomfort and irritations, and an even better idea is to get a tearless formula. Manufacturers know how vital your puppy’s wellbeing is to you, so they invented such formulas that will turn each bath time into a more enjoyable occasion you can use to bond more with your new pet.